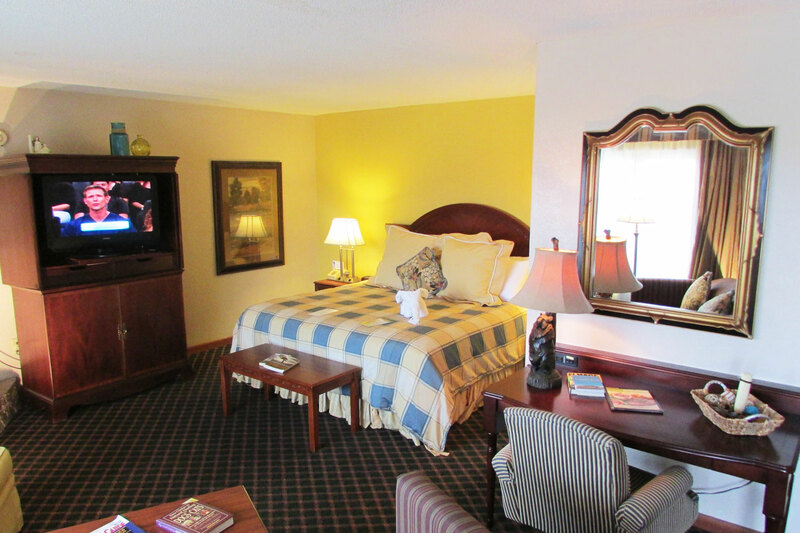 Superior Jr. Suite with Mountain Views, Fireplace & Jacuzzi. Renovated room with superior furnishings, forest and stream artwork, gilt mirror, luxury duvet and decor pillows. 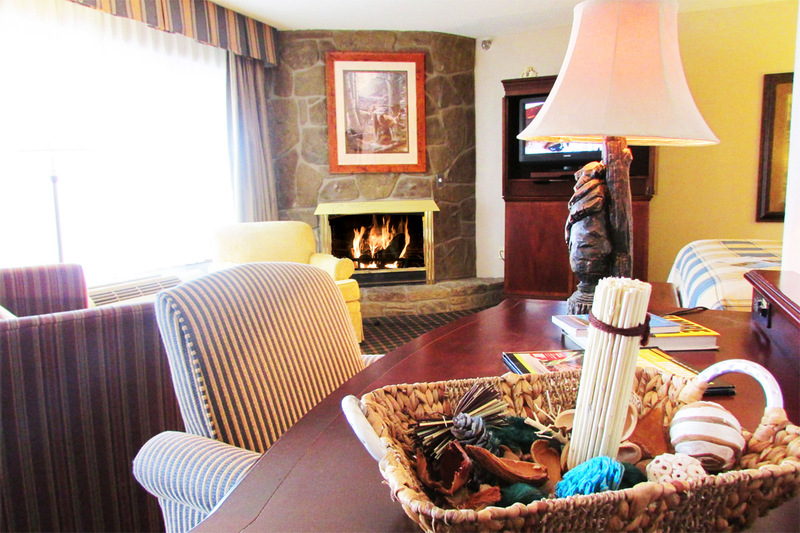 This is a “Superior” level suite with mountain views. This room is on one of the top floors with “country views”. 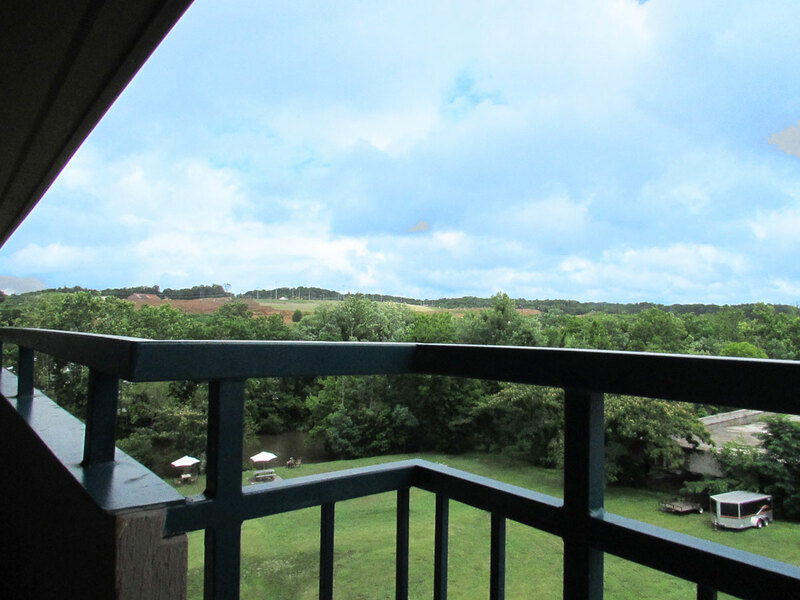 – because it has views over the other hotels to the Smokies, surrounding hills and the new Cal Ripkin ball parks on the north hillsides. So we call it a “Country View” room. 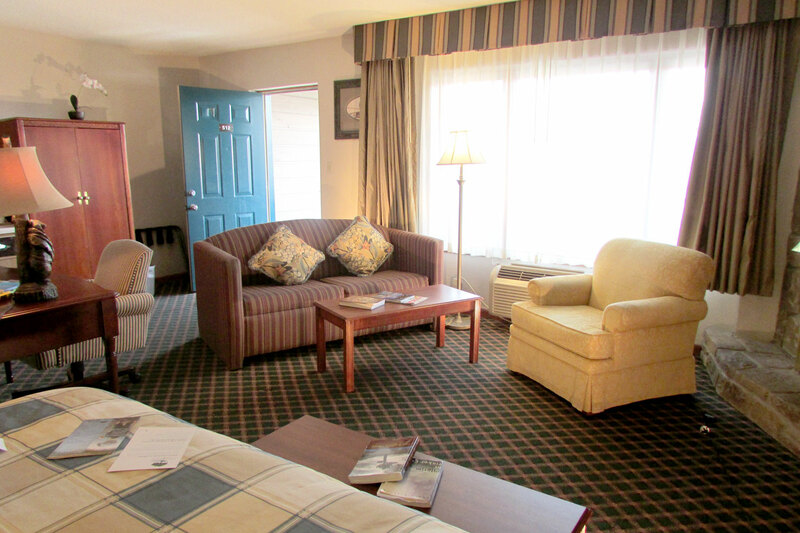 Renovated with superior furnishings, stream and forest art, gilt mirror, duvets, & decor pillows. Pillow top mattress and king pillows. Stone surround gas fireplace, Jacuzzi tub and double the space of our Double Queen Two vanities. King bed and twin size sofa sleeper. Or Maybe one of our Vacation Rental Cabins and Condos? - Free breakfast pancakes at Reagan's Pancake House right across the street. Full breakfast buffet available for just $5 charge. - Expansive windows, letting in lots of light. - Exterior corridors so that it is possible to sit outside – just like a terrace. The Credit Card that a guest supplies to "Guarantee" the room must be current. Deposit and Payment in Full at Arrival Policies A deposit of one night will be run against your "credit card guarantee" two to three days before you arrive. This is an actual "deposit" charge against your card. If the deposit process fails, we may need to cancel your reservation and, should you neither arrive nor cancel, we will have processed your "no-show" charge of one night stay. Generally, a guest is able to cancel up to 6PM day of arrival. However, in the event of No Cancellation, a one night's "no show" fee will be charged.